Oh the 3's. It's such a trying age isn't it? We're trying so hard to navigate these uncharted waters with grace and patience, but goodness is it hard. Jacob has such a big personality for someone so small. He wants to do everything and nothing himself all at once. 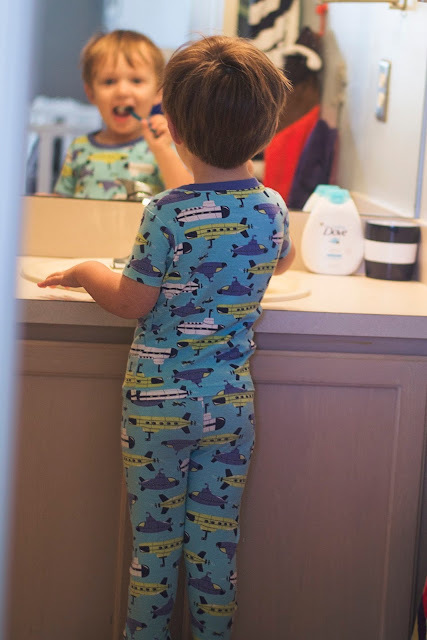 Things he really still needs support with (like washing out his Baby Dove shampoo) he wants desperately to do alone, and things he should be capable of doing independently (like putting on his shoes) he wants us to do for him. The struggle is real. There's a lot of whining, fussing, and tears these days as he figures out exactly who he is and what he's capable of. But there is also quite a bit of clapping, cheers, and smiles when he (and we!) realize just how much he can accomplish! We want nothing more than to send him off to Pre-k next year independent and capable of functioning appropriately in a 4 year old classroom. It's so tough to not automatically do everything for them. It gets done so much faster that way and we can still view them as our "babies" who need us. But slowly we're realizing that all he learns when we do something for him, is that we do it better. So despite those "Mom! I need you! 's" 50 times an hour, we're slowing down and making sure he learns to do it without us, the way he'll have to at school. We try to foster his Independence in a few ways, the first being to offer choices. Offering choices (usually two) lets Jacob feel like he's in charge without us losing control. He gets to feel like he's the one calling the shots, without it being a free for all. Instead of letting him choose what he'd like to do (play ipad or watch tv all day) we present him with two choices: would you like to go for a walk outside or play a board game inside? Would you like to go to the park or the zoo? This is also a great tactic for getting him to do what we need him to do. We'll ask him "Do you want to sit in the front or back of the cart?" instead of letting him cry that he doesn't want to ride in the cart at all. If I offer him a nap alongside what I want him to do, we will always pick what I want him to do. "Do you want to help me pick up the mess you made or take a nap?" Do you want to read quietly with me for a little bit or take a nap?" Getting dressed and washing are the two that he still struggles with a bit. He isn't picky about clothes so at this point I still pick them out - since he'll have to wear a uniform next year this seems to be a good way to avoid clothing battles when the time comes. 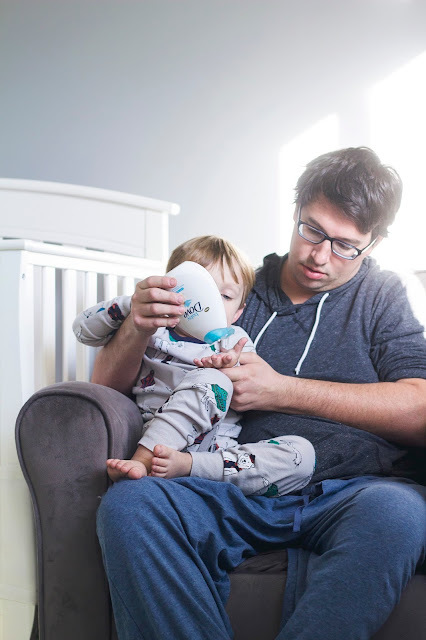 He's getting better at his pants and underwear since he's been potty trained for nearly two years, but getting his arms in and out of his shirt and his head through the right hole is a hot mess, so we still help with that. We also still go back behind him when he's bathing to double check. I'll usually wet down his hair and body and then let him squirt out the shampoo and lather it all over himself and his hair before I rinse it all out. 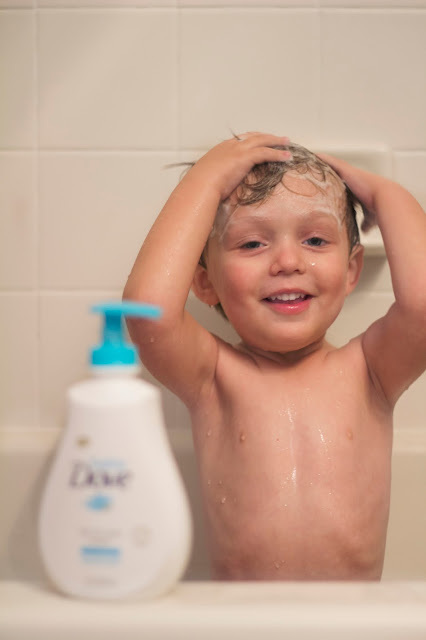 I've long been a fan of Dove products and their new baby line is no exception. 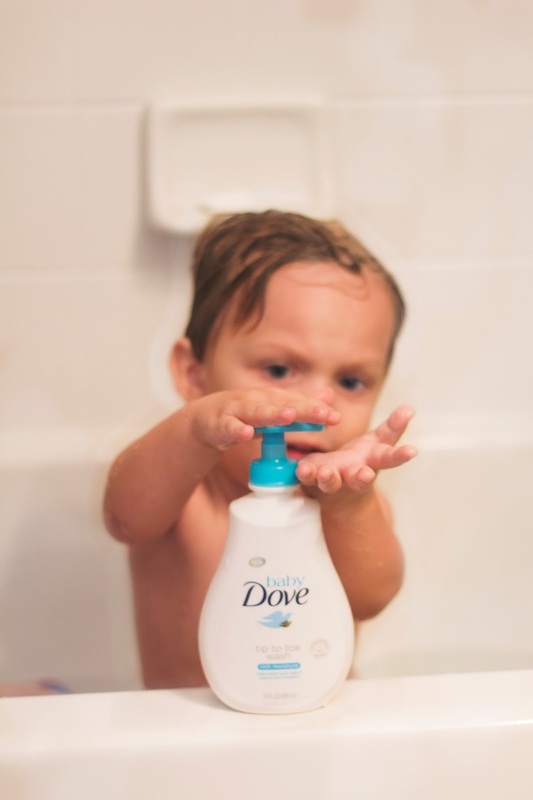 The Rich Moisture Tip-to-Toe Wash is mild so I don't have to worry if it gets in his eyes, and it leaves his hair so soft and smelling amazing. Before bed we let him smooth on their Rich Moisture lotion as well to keep his skin soft and moisturized. (So important in the winter!) He's gotten pretty good at that himself, and likes to use it on us too! You can sign up with Baby Dove for coupons, articles and tips! How do you help your little ones explore their independence? 1 comment on "Fostering Independence in Preschoolers"